A lot of you have either recently had babies or are thinking about having children and want to know how to deal with the struggles. I'd love to shed some light on this, based only on my personal experience, well, because...that's all I know. And don't get me wrong, children are wonderful little bundles of love, but I'm not going to talk any more about that. Why? Because you've heard that crap your entire life. If you want to know all the good stuff about having kids, go watch something on the TLC channel, show up to a baby shower, or read a greeting card. I'm going to give it to you straight. Of course I'll preface this by saying I have a two year old, Maverik, who is such a wonderful piece of my life. Not just because he's lovely, but because how we work is lovely. Having a child is hard work. Now that's a cliche if I've ever written one. But you knew that anyways. You know they are lots of work because they have to be changed and burped and fed nonstop in the first year. They cry and they need, need, need you all day long. But that's easy; that's common knowledge. Here is what mom's don't tell you: sometimes I don't want to be with my son. Sometimes, I don't like him. If you have labeled me a bad mom by those last couple of statements, please read on. I assure you I'm a fabulous mom because I am able to acknowledge those taboo emotions that ALL MOTHERS FEEL. (And if they don't feel it, they are just not aware of it.) It's not a crazy notion either. I mean when a two year old has a tantrum because he want to screw the lid on his own sippee cup and you don't let him because that would only lead to a mess- of course you want to get away. And when it's the end of the day and he's now onto his third tantrum while you're trying to get through to the cable company, it only makes sense that a mother would not like her child in that moment. My advice: if you want to have kids, or already do, then be honest with yourself. Kids wreck your body, your paycheck, your house and your love life. They get sick and force you to take off work. (you KNOW a chef isn't going to miss a day of work) Then you've got the guilt to deal with. Guilt for being a mom and not joining your friends for dinner when no sitter is to be found. Guilt at work for taking sick days for the baby. And of course the guilt for your own child because you aren't there every two minutes for them. Guilt that you can't give them everything you'd like. Guilt when you get mad and raise your voice. Guilt. The other thing mom's don't really talk about it the emotional work that children require. Of course as a chefs' wives you know you'll be doing 95% of the babywork. But that work isn't just diapers, cleaning, cooking, laundry, doctor's appointments, park visits, googling what that rash is, baby-proofing, planning birthday parties, taking/uploading/editing/ordering pictures, picking up medicine, administering medicine, taking temperatures, disciplining, building towers, reading books, giving baths, applying Desitin....I'm sure you get the picture. The most exhausting part of being a mother for me is the emotion behind all of the above. For instance, taking Maverik to the doctor is work enough, but before any of that has to happen, I have to first realize he's sick, then decide if he needs to go or not, make an appointment, make sure I've got cash to pay the copay, and take off work is needed. Because of Erik's hours he literally isn't able to do any of those things. But I would feel so much better if he were there by my side reassuring me that Maverik is just a little sick and doesn't need to go or cleaning up vomit instead of me. I mean it would be a miracle if I came home and Erik told me Maverik was sick and that he took care of all of this- because that's how it is for the chefs. They don't even have to WORRY about the children, because mommy takes care of the work and and worry. This is something that Erik and I are constantly working on. I'd absolutely love if Erik came to me and said, "We should start planning for Maverik's birthday party," or "I think he's due for a check up soon, can I take care of that?" It may seem insignificant, but the emotional work behind being a mother is a heavy load to carry. I hope I didn't scare anyone into a childless life, but I guess I just want everyone else to be as informed as I was about children. If you do choose to have children, I want you to be as happy as I am because you are not afraid to say, "I need a break". I loved reading this, my boyfriend is a chef ad we're 6 weeks away from our baby girls birth. I know it's going to be crazy and I will be doing 95% of the work. Ohhhh this is going to be fun! Life as a chef wife I guess. My chef is dying to have a baby.....I, on the other hand am no where near wanting to be a single parent right now. I am so overwhelmed and overworked at the moment, I couldn't even imagine throwing 9 months of pregnancy, and then a baby into all of that. Hopefully by showing him this, he will gain a little perspective! Thank you so much for your honesty. You have articulated every single fear that I have about having children. It's an issue that I really need to get over because I do really want children. My Chef and I have been married 5 years and he called me on why I keep dragging my feet the other day. He was horrified when I told him that there were 2 reasons. 1, I am so scared that our child will grow up without truly knowing either parent. I work a lot too, so we need to get in a situation where I can cut back on my hours. And 2, I am scared of having to share My Chef. I already feel like I come second to the restaurant. I know its selfish, but I don't think I can deal with coming 3rd. I hope I get over that. I do want children. I LOVE children and I definitely want them with him, but I just don't think now is the time. Thank you so much for your honesty!!! Ohhh, so true. I have a 2yr old as well, we actually had the same due date! Just the other day, I was wondering what my chef would do if suddenly, I wasn't there any more for whatever reason - he wouldn't have a clue! Sure, he can change a diaper, bathe and, of course, feed her - but just like you said, the big picture is missing. He wouldn't know how our child got to have health insurance, a birth certificate, all her vaccinations or her place at the daycare centre. He'd blank you, asked what size shoes she wears or how many teeth she has. Anything we buy for her I do the research for, read the reviews, find the best price. He has never taken her to the doctor, couldn't even tell you his name, has never clipped her finger nails or spent more than half a day with her without me being there - it would surely be a very steep learning curve for him! That's why...you are a great and a super mom Hillary. We are like a single mom. What I did? I did a 'To Do list' with all the task I can't finish during the week (so, there's no excuse that he don't know). He always help me with our toddler, with the housework, with the kitchen of course!!! My relationship is 50/50. 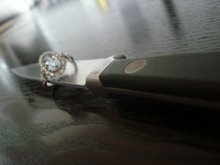 He decided to be a Chef and then he decided to marry me. Is not easy, but we need a life too, right! Chef wife for nearly 6 years in that time I have had 2 beautiful daughters who are 4 and 2. I have struggled I'm not going to lie. With my first daughter I battled with post natal depression and basically had to deal with it alone due to my other half always being at work. My second daughter I have been ok. I'm now looking to go back to work - impossible I can't find a suitable job around child care and can't afford to pay for it! Sometimes I swear I may as well be on my own with my girls. He's never there ! Would love to say it easy ladies raising children when you're a chefs wife But it ain't ! Let me start by saying, I LOVE your blog. I recently found it, when just randomly googling "always alone, and chef's wife." Sad, but true. I am a 30 something chef's wife, my husband is a sous chef and on the verge of promotion. This means lots of 12-15 hour days, 6 day work weeks. We have an 8 month old daughter, and my chef has been feeling pretty down lately, because our girl literally wants nothing to do with him. She cries, and cries, and cries when he tries to hold her, or writhes herself out of his grasp, or holds her arms out to me. 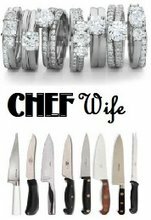 I would have to say that, up to this point, that's been the worst outcome of being a chef's wife - because he just doesn't have the time to bond with her, and so he feels like they have no relationship... I try to do lots of things to encourage their time together, but, he's tired, wants to sleep in, lay around, watch tv, relax - all those things he did normally before the baby... But, it just isn't happening. Thank you, thank you, thank you! I still can't believe you hold it together with all you do, but I'm relieved to see that the issues we fear (ie being a "single parent") are valid. It seems as if everyone has been talking babies to me lately, and I'm at a point where I'm not sure I want to have kids at all anymore. At one time it was all I could think about, but then he got busier with work and we got a puppy (not the same thing, but close enough to be scary), and now I'm terrified. Good luck with everything, and know you're always welcome to vent. 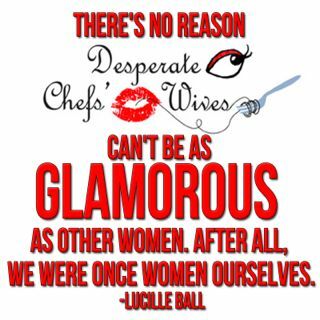 There are lots of chef wives out there who can totally identify, and probably equally as many like me who need to know what it's really like, not some glossy version. Loved reading this! I'm 14 weeks pregnant now and we are trying to figure out how to... schedule our live after the baby is here. We both work full-time now, and I wll have 12 weeks of maternity leave. But after that -??? We haven't researched any daycares yet. But from what I've heard, it's all or nothing on the price, and we'd only need 3 days a week at the most. And I wish I could change the days I work at my job to mirror the same days off as my husband, but I’m not so sure that will work. My boss is willing to work with me on taking time off as needed, but that will just add to the unstable-ness we are trying to avoid. Where you working full-time before you had your baby? And what happened after you had the baby as far as YOUR job goes? I am a middle school teacher and I also serve as a manager of the charter school I work at. I worked at least 45 hours a week before and after I had Maverik. He went to a babysitter which didn't work out and now he goes to a daycare. When we had a baby, my body and my life changed, not so much changed for Erik. I mean I am the one who gets up earlier to get Maverik ready for school, I get calls at work when he is sick, I take off work when he is sick, I have to find babysitters when I have parent conferences, 8th grade graduation, etc. So at work I have a lot more stress. I'm always worrying about my late nights and how they will affect Maverik. I have terrible guilt when I am not with him and terrible guilt when I have to be flexible at work to be with him. My job is very accommodating, but my conscience isn't. It sounds like you are off to a great start as far as planning for childcare. You will find a system what works for you. And chefs' days off have the potential to change so maybe you will end up with similar days off. Keep us posted on how things go. Just a couple of quick comments: Isn't it funny that the chefs are dying to have a baby when they won't be doing much of the work or carrying him/her and they just don't quite understand how scary it is for us chefs wives to think about it? Just had the most intense convo with my chef last night about this subject mostly due to the blog (and it was the first time I really got to see him in a week). Also, Maverick is SUPER cute! hi i've just found this site and what a relief its not just me.we have 6 children ageing from 15 to 1 and yes its hard and feel like others when you feel like a single parent, i take them to their activities after school, my eldest son is a kp aswell so i take him to work and pick him up so have to take my husband to work and pick him up too when i need the car. He was not a chef when we got together but after plastering work became very unreliable i encouraged him to go back to being a chef as he always loved it, well i wish i knew what it entailed when i suggested it, i understand he works for us and since going from a hotel to a restauant it actually has got a bit better he doesn't start work till 9am so days i dont need the car he will drop kids at school and pick them up, what i found the hardest was inbetween shiftscause he was tired he went and wached tv in bedroom while me and kids were in front room its very annoying i know hes tired but so am i 6 kids is not easy. Also christmas day he will be working this year and it will be 1st one for kids and me without him and i am not looking forward to it. It was horrible when he couldn;t come to my sisters wedding and the kids were all asking wheres dad i think those times are the hardest special times that you should be all together as a family but your not. "Married to one for 18 years " absolutely has the right idea. If he is not there for you as a husband, he will not be there as a husband and father. K.Wilson, I'm wondering how you are adjusting to the changes of a very different chef schedule and demands. How is your husband's new job going? Amber, after speaking with other women, I've come to realize in a lot of families the mother is doing 90% of the work. So it's not just these workaholic chefs leaving the mom's high and dry. But yes, my chef wants another baby....easy for him to say! Becky, SIX children! Wow, I'm sure you get that reaction all the time, but you must be an extremely organized person. When you said, "I know he's tired, but so am I", I really relate to that. We are all harding working women. I may not put in 65-75 hours a week at WORK, but I'm a mom 24 hours a day. Just like you all are. Sometimes in my house we are arguing over who is more tired! That's insane! Becky, you work so so hard, and I know you'd love a break and a chance to veg in front of the TV as well. So glad I found this post!!! I have two rowdy BOYS ages 1 and 5. My friends think they know what I mean when I say I live as a single mother but you all REALLY know what I mean. I HATE housework. I am usually too tired to do it. Right now, my sink is full of dirty dishes. I have piles of dirty (and clean!) laundry in most rooms of my house. It will get done eventually. Like you other chef wife moms, I work 45+ hours at work, but I also work 24 hours a day as a mom too! On the flip side, before I had children, I would sit around and pathetically pine away for my husband to be at home with me and not at work. Now my kids occupy my time and I no longer feel sad when I miss him. I have somewhat accepted it. Sure I get so lonely sometimes and wish he could share in the experiences of our children with me, but that is just not how it is. When he is home, he helps with the kids, and is pretty in tune with what is going on in their lives, so I am lucky in that aspect. He used to have his own business so his hours were more flexible, so that all might change. It is so great to know I am not alone and there are MANY amazing mothers going through the same thing I am! Amazing site! So good to hear you are not alone. We have a 12 month old, who I absolutely love to bits, but my husband is a head chef who works 70-80+ hours a week and I am alone all the time, not helped as we relocated for my husband's job so I don't know anyone in the area and don't have any family near by. We are talking about having a second but I honestly don't know if I could cope with two doing all of this on my own. It's always good to read of other people's experiences and so good to know I'm not completely alone!! I loved reading this post. So much of the responsibilities at home, especially with children, fall on us as a chef wife. Being a parent is so much harder than I ever thought it would be. I think what you said about needing a break is so important. If I don't find time to take care of myself, at least a little, everyone in the family suffers. Thanks for being so open and honest about this. I had a crazy long distance relationship with my chef ex and boy did I not realise what I had got myself in for when I moved in with him. For some stupid reason (i think they call it blind love :P ) I didnt think about the long hours days and weeks i would be alone in the apartment waiting for him to come home. I spent so much time with a friend I made in the city, Toronto, i moved to be with him in I called her my girlfriend! I was thinking/worrying about the future, and googled chef wife or something like that and came upon this blog and it made me realise the serious of the future i could potentially be in for. It got harder and harder and I started to resent his job so much that it created a rift between us that just didnt heal. The fact that i couldnt make toast without burning it and was in an office 9-5 job made us feel like chalk and cheese to me. And also the fact that as a passionate chef he wanted to excel and do as many hours as possible and have someone support that. I also remember always feeling we were at different levels of mood, he would be buzzing at 12 oclock at nite up for a drink, and I would be about to head to bed feeling tired after waiting up all eve alone. So it came to a head and I left, moved back to Ireland. It was the most horrible hard decision I ever made, and nearly a year on it is still hard, because I didnt fall out of love per say I just could see us breaking down in only a year that we had lived together that i knew 'forever' wasnt going to work. Reading this blog woke me up to the reality of the situation and I couldnt take it. I hope I will find love again and that he will find someone to support that difficult career of his. I will always feel something for him but i guess it wasnt meant to be.